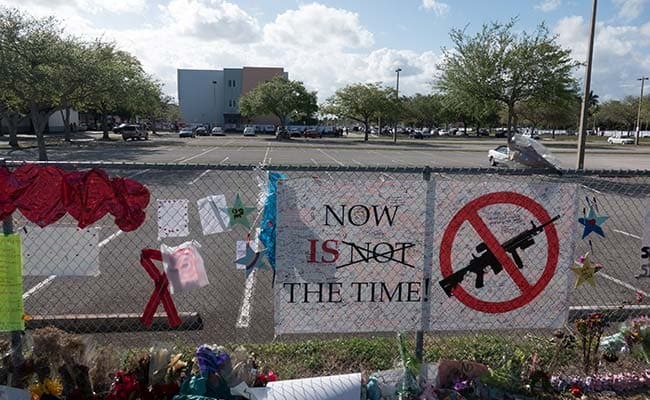 The lawsuit would be the first for the shooting at Marjory Stoneman Douglas High School in Parkland, Florida, in which a gunman killed 17 people and wounded or injured more than a dozen others. Florida: A lawyer for a student wounded in February's mass shooting at a Florida high school on Monday filed a legal notice of intent to sue the county sheriff's office and the school district for failing to protect the students. The so called notice of intent to file a claim is required by Florida law before a lawsuit can be brought against government entities. It would be brought on behalf of 15-year-old Anthony Borges and his family. Borges was shot five times during the massacre, suffering life-threatening injuries, and remains hospitalized, according to the notice. "The failure of Broward County public schools, and of the principal and school resource officer to adequately protect students, and in particular our client, from life-threatening harm were unreasonable, callous and negligent," the family's lawyer, Alex Arreaza, said in the notice. Arreaza sent the letters to the Boward County administrator, its sheriff's office and the superintendent of its public schools, as well as to the risk management division of Florida's Department of Financial Services. Representatives of those offices could not immediately respond to a request for comment after business hours. The notice said the Borges demand damages in an unspecified amount as settlement for the officials' negligent actions. Law enforcement officials and state employees are generally immune to legal claims over inaction, as courts have held they need to be able to make decisions without fear of liability. But legal experts have previously said the Broward County Sheriff's Office could be sued over the failure of one of its deputies to enter the high school during the shooting and that plaintiffs might be able to overcome the immunity standard. Under Florida law, damages awards against state agencies are capped at $300,000 per claimant, but Florida's legislature has the ability to waive those limits in particular cases.